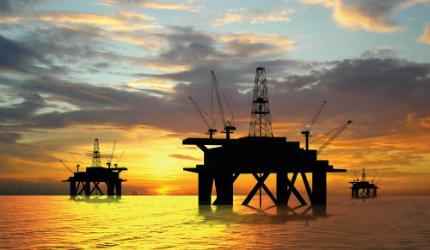 Check-6 provides safety and training solutions for the offshore and marine industries. The company founded as the result of a phone call in 2006 between Gordon Tschritter, a deep water drilling engineer, and former colleague Brian Brurud, an esteemed naval fighter pilot initially trained as a geologist who had several years’ experience in the oil industry before joining the navy. Tschritter wanted to work on improving his crew’s safety and competency. He saw the same mistakes being made twice on his rigs, and staff sustaining injuries. He was inspired by a white paper from the University of Aberdeen, UK. Check-6 gets its name from the clock codes used by fighter pilots to describe locations, with six o’clock being the blind-spot behind the pilot’s back where they are most vulnerable. During combat, Brurud had been shot at 17 times by surface-to-air missiles (SAMs), and was told of each threat by his wingman as he was never the first to see the oncoming missile. "My wingman’s ability to see the threat and alert me to it saved my life many times," Brurud said. "At Check-6, we help people in the oil and gas industry watch each others’ backs. We provide a service that was acutely needed in the oil and gas industry, and know we have been able to make a tangible difference on rigs around the world. It is extremely gratifying work." In addition to safety and leadership training on rigs, Check-6 helps drillers and contractors move land-based rigs with increased efficiency. Check-6 Logistics Solutions has significantly reduced the number of days per rig move for its clients on a regular basis, boosting safety and profitability because the rigs spend more time working and not so long being transported. Check-6 includes software company, Check-6 Training Solutions. Its software developers apply their military simulator training and offer ‘GameBoy’-type interactions where rig and crane workers can continue to grow in competence from advanced, interactive technology on a laptop, instead of a formal lecture off-site. Since founding in 2006, Check-6’s products, services and personnel have enabled the company to grow significantly, with the its 2013 revenue projected at $50m. From starting out as two people with an idea, the company now employs more than 300 staff globally. If Your Organisation is Fighting a War on Error, Take the Marines With You! As a former Marine aviator and commercial airline pilot, I find myself in a new and exciting industry with cutting-edge technologies that rival sending astronauts into space. This paper aims to illustrate the crucial importance of developing a checklist culture to identify and eliminate human error for the upstream oil and gas exploration and production industry. In light of the Deepwater Horizon accident, how effective is the safety culture within the US iil and gas industry, and what insights can be drawn from the military aviation community?